Curbing prescription opioid abuse in the United States has had the unintended consequence of a scourge of heroin abuse. 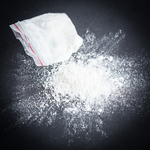 While it was debated heavily as to whether there was a link between increased heroin use and prescription painkiller crackdowns, it is now widely accepted as being the primary cause in the surge of heroin use. The Centers for Disease Control and Prevention (CDC) reports that 29 Americans die every day from a heroin overdose. Heroin use is now pervasive throughout the country. Heroin users can be found in both urban and rural parts of the country. The U.S. Drug Enforcement Administration (DEA) says that heroin overdose deaths more than tripled in five years, ABC News reports. In 2010, there were 3,036 heroin overdose deaths in America. When you compare that figure to the 10,574 people who died from the drug in 2014, clearly the problem is dire. The DEA’s 2016 National Heroin Threat Assessment Summary found 425,000 people reported using heroin in the past month in 2014. Heroin users, on average, are suburban or rural white men and women in their late 20’s, according to the article. What’s more, 75 percent of heroin users became addicted to opioids through the use of OxyContin (oxycodone)—a drug that was claimed to be more effective and less addictive than other painkillers commonly used. The drug was over prescribed for over a decade and was a major factor in the rise of the opioid epidemic we face today.